It’s Talk Like A Pirate Day today! Posted in Uncategorized | Comments Off on Pirates! The news today: Google Maps has a new feature for the mobile phone. Street View. I visited the link with my Nokia N73, downloaded a newer version of Google Maps than I already had, installed it, opened it, and… nothing. No Street View. Did I miss something in the instructions? Looking at the info page again, I notice the small print below the title: “Personalize this site by choosing a phone”. It’s a link that leads to a page with 9 different models of phones to choose from, each showing a description on the right when hovering over it with the mouse. Nokia S60 phone seems to be the one for me, as it says it includes all N and E series, as well as other Symbian S60 Nokias. However, when I click that phone to see features Google Maps offers for my phone, the page all of a sudden does not show Street View anymore! I’m okay with the fact that the iPhone can’t have it yet (iPhone is a special case of course, plus I don’t have one, so why bother ;-)), but.. a Symbian S60 should certainly be able to, right? So, what about that other Nokia phone? It’s the standard Nokia phone. The description says this is for phones that run on S40, or legacy Symbian S60 sytem. It specifically says, that these phones are not part of the N series. But if I click that phone, Street View becomes an option. Hang on – can this be right? Do I need an older version of Symbian to be able to see Street View? It certainly seems to be so. 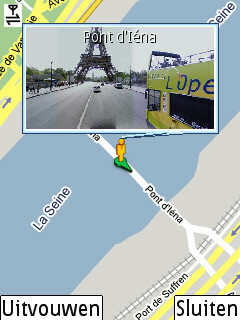 In the mean time a true Symbian S60 version of Google Maps came out, with both Street View and Latitude. Just go to www.google.com/latitude/ where you can can choose your country and get the correct link sent to your phone. It’s 7 September today. Our annual Sinterklaas (Saint Nicholas) feast, will be on 5 December. Last time I looked at a calendar, that’s still 3 months away. Out of curiosity, for all of you who aren’t living in Holland and aren’t celebrating Sinterklaas at all; are your shops starting on the Christmas stuff yet? 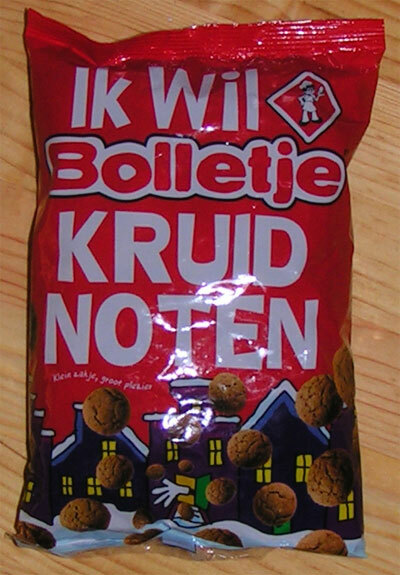 Posted in Uncategorized | Comments Off on Sinterklaas! The image above is of a Ritteri anemone (Heteractis magnifica), apparently the one Nemo likes to hang out in. Nemo is a clownfish (Amphiprion ocellaris) of course, and the reason it doesn’t die from the anemone’s sting, is that its body is covered in a mucus that protects it against the toxin. This makes the anemone a safe place for little Nemo (and his dad! ), and in return in eats algae and fish leftovers from the anemone, keeping it clean. 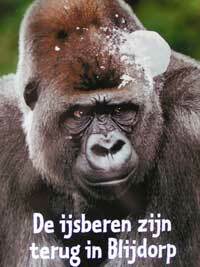 After an absence of eight years the polar bears are back in our zoo, and this is advertised with posters like the one on the left here, which shows the infamous gorilla Bokito, receiving a snowball against his head, with the subtitle “The polar bears are back in Blijdorp”. The same kind of posters have been made with a giraffe and an ostrich, but I like this one best. You are currently browsing the locusmeus blog archives for September, 2008.